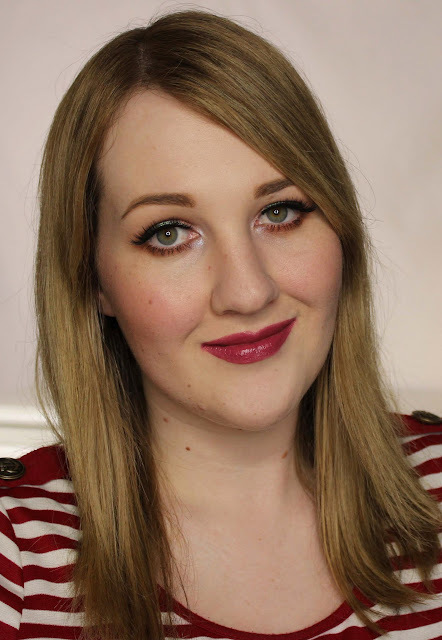 Burt's Bees isn't a brand I have extensive experience with, so I was intrigued and excited when these lipsticks arrived on my doorstep. 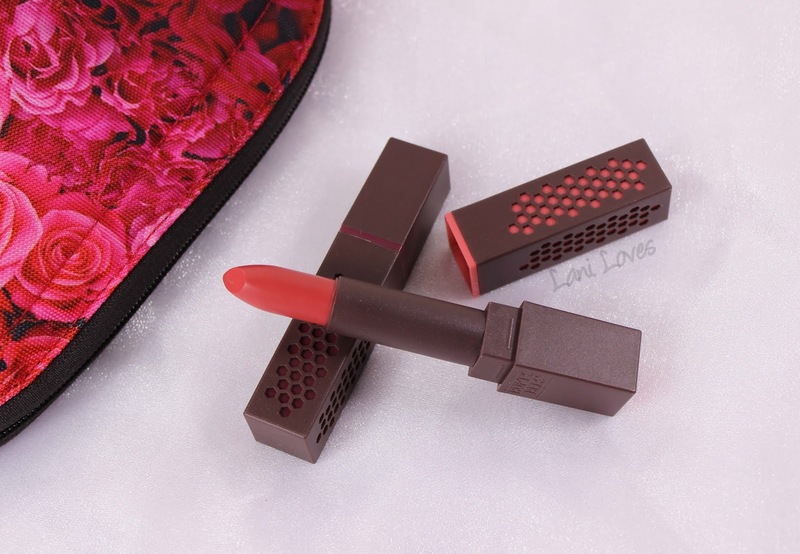 Promising intense colour and long-lasting hydration with a fourteen-strong shade range, these lipsticks are also packaged in partially recycled materials and are made with natural ingredients. They have an RRP of $19.95 in NZ. 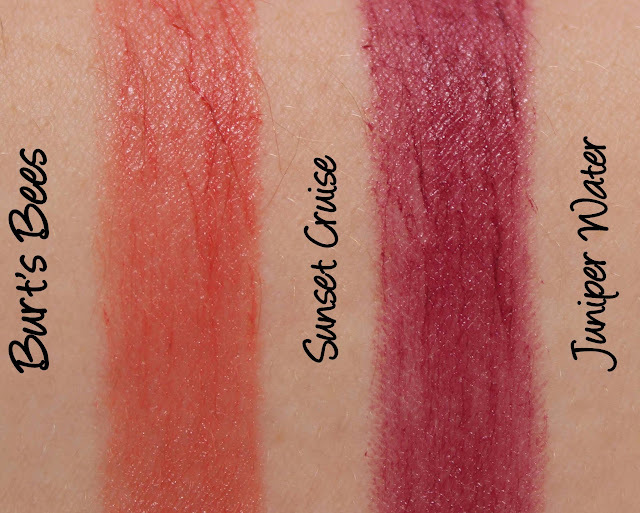 These lipsticks have a smooth, lightly glossy formula with sheer to buildable colour payoff. 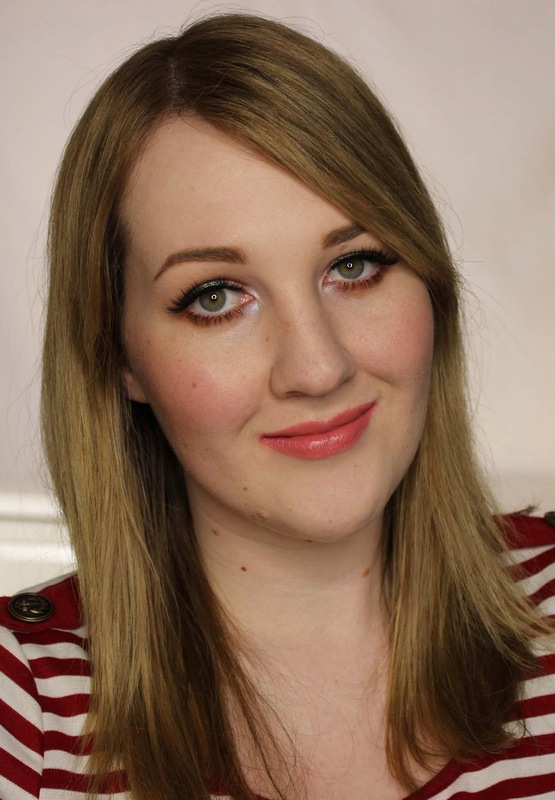 Wear time was between four and five hours, which was fairly consistent with similar formulas such as MAC Cremesheens, Karen Murrell and Living Nature lipsticks. They were hydrating and comfortable during wear, with my lips feeling like they were in better shape after wearing them than before. These have a lightly floral scent with a hint of fruitiness. 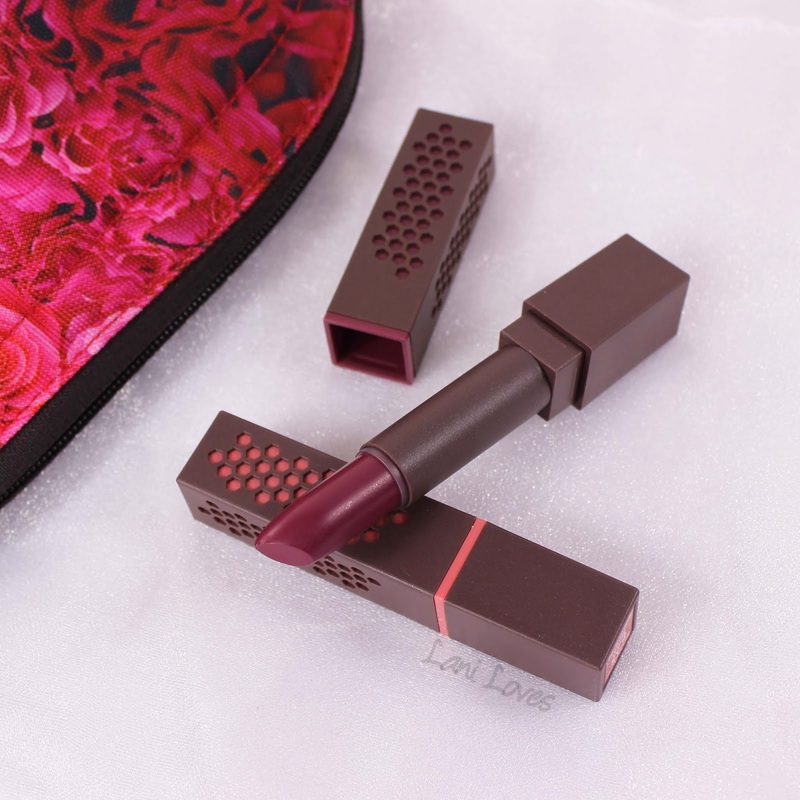 The packaging for these lipsticks is made with 60% recycled plastic and is recyclable itself, plus it's pretty darn cute in its own right, with honeycomb sections on the cap giving an indication of the lipstick colour. The slanted bullet hugs the lips and is easy to use. 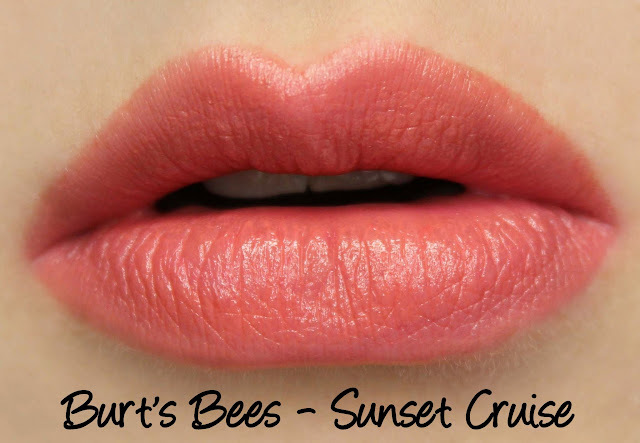 Sunset Cruise is a soft orange-coral with mostly opaque colour coverage. Definitely my favourite of the two, I can never resist a coral lipstick! It lasted four hours on me and was hydrating. 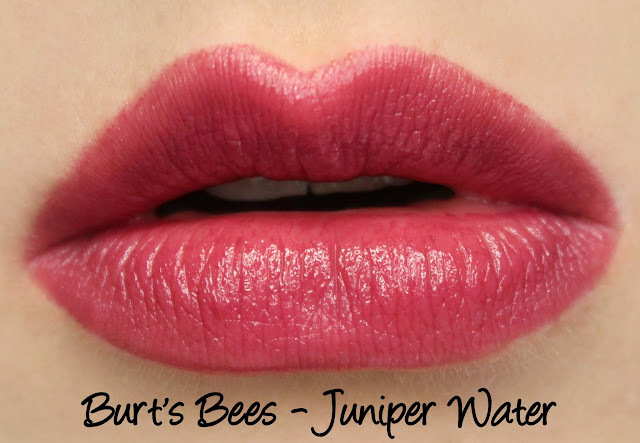 Juniper Water is a medium berry with sheer, somewhat buildable colour payoff. I found Juniper Water a little tricky to even out, although it photographed well, to its credit. It wore for five hours on me, didn't feather and was lightly hydrating. Have you tried any Burt's Bees lipsticks before?